We work to win. Make us a part of your team. Skelton & Wong, P.C. is a premier criminal defense whose lawyers excel in out-of-court negotiations and trial proceedings. Our attorneys bring more than 50 years of combined experience to bear on even the most complex cases. Our firm's lawyers have successfully fought and won well over 600 cases at all stages and levels of litigation in state, federal, municipal, district and appellate courts. Our aggressive approach has earned us a reputation in the Illinois legal community as tenacious legal advocates who know the law and get results. We are capable trial lawyers who are relentless in the pursuit of just results. Our energetic and talented team of lawyers and support staff welcomes the opportunity to stand in your corner as part of your legal team. Give us a call at 309.820.9599 or contact us online to retain our services or to schedule a consultation with our firm. Why Skelton & Wong, P.C.? Attorneys with more than 50 years of litigation and trial experience We pursue victory with logic. As criminal defense attorneys, it is our job to point out to opposing counsel why they cannot win a particular argument. Weaknesses in the opposition's case strengthen your ability to negotiate for a better outcome both in and out of court. Pretrial negotiations and plea bargains hinge on the discovery process, which equips you with the facts and the insight you need to negotiate for a better result without embarking onto the uncertainty of trial. Our attorneys are nothing if not thorough in the pretrial discovery phase. We're fighters but we fight fair. Integrity is at the core of our legal practice. We have a reputation for our comprehensive knowledge of the law and fearlessness in broaching new issues in criminal defense court. Our clients know that we will do everything we can within ethical and legal bounds to challenge the opposition's case and to win at trial. Trial is a scary prospect but we make it worth your while. At trial, a judge or jury gets to decide the course of your future, based on a subjective evaluation of the evidence presented. Presenting compelling arguments requires substantive legal knowledge and exceptional trial presentation skill. At Skelton & Wong, P.C., our attorneys stake their reputations on trial ability and welcome the opportunity to put our litigation skill to use in your defense. We understand the science behind the justice. DNA tests, field sobriety tests, breathalyzers, blood alcohol analysis and other examinations are some of the most common types of scientific proof brought into court to validate the prosecution's case against a criminal defendant. In some cases, lawyers must fight expert with expert hiring independent technicians to verify or disprove the prosecution's findings. Skelton & Wong can help you decide whether and how to challenge the opposition's scientific evidence. Personal attention is the touchstone of our practice. Your legal issue is as important to us as it is to you. Our attorneys work nights and weekends to ensure that each client gets the benefit of thought and preparation in the days and weeks preceding trial. Beyond drafting motions and memoranda, we meet with clients to go over evidence and to contemplate strategy. Our goal is to get you the best possible result in the upcoming trial. We are accessible via email, 24 hours a day, 7 days a week. Our attorneys know that you can get arrested at inconvenient times early in the morning, or in in the middle of the night. We are committed to being available to you whenever you need us, whether that's late at night or in the middle of a weekend, and remain accessible via email. Stephanie Wong is a former prosecutor in McLean County. She began her legal career in the associate division prosecuting delinquency and abuse/neglect cases charged under the Juvenile Court Act and criminal misdemeanor cases. She was later assigned to the felony division and subsequently appointed chief of that division. She has successfully prosecuted offenders charged with serious felonies including first-degree murder, criminal sexual assault and armed robbery. She has satisfied and exceeded the requirements to be certified as lead counsel on the Capital Litigation Trial Bar. 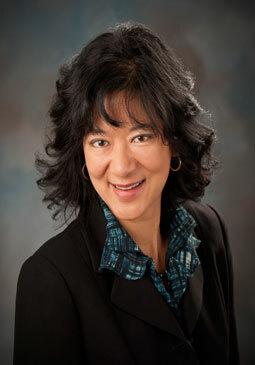 Ms. Wong has received the LexisNexis Martindale Hubbell prestigious AV rating. An AV certification mark is a tribute to the fact that a lawyer's peers rank him/her at the highest level of professional excellence. Stephanie's background as a prosecutor affords her clients the advantage of representation by an attorney with extensive trial experience and with specialized knowledge of how prosecutors think and prepare for their cases. She applied the skills she acquired as a prosecutor in the area of domestic litigation in Chicago and Kansas City, Missouri handling custody, and visitation and modification issues.